Rice cultivation method that is seriously considered to be able to increase harvest is the jajar legowo system. Jajar legowo is planting rice in straight rows at certain intervals. And after a number of close rows, there is a wide gap, twice as wide as the regular intervals, to the set of rows. This arrangement allows more rice plants to receive sunlight. The increased sunlight exposure increases grain production. 2:1 one extra space for every two rows. 3:1 one extra space for every three rows. 4:1 one extra space for every four rows. The extra space is twice as wide as the interval of the plant rows. In addition to increased sunlight, there are other factors that contribute to the increased productivity from this method. Ease of maintenance : the extra space provides farmers alleys to move in the field and apply fertilizers without trampling on plants. These rows also allows effective weeding. Reduced competition for nutrients among plants : as opposed to random planting, spacing in jajar legowo optimizes fertilizer uptake by plants. Reduced felling : felled plants is a significant cause of decreased harvest because so much grain is lost when plants fall down. Much of plant felling is caused by high winds. The rows allows winds to move more freely than they do through random planting. 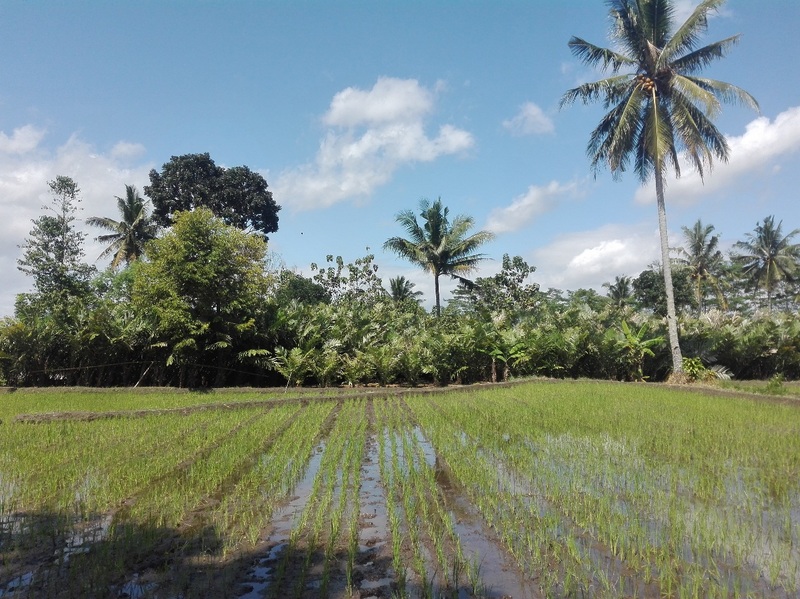 A study from Balai Pengkajian Teknologi Pertanian Sumatera Barat (BPTP – Agriculture Technology Development Institute of West Sumatera) showed that jajar legowo method increases harvest up to 22% higher than other methods. (Roidah Afifah, Universitas Brawijaya).